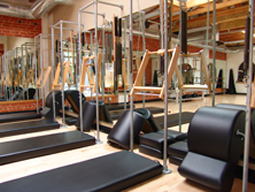 •Private training in the original form of the Pilates method on the Gratz equipment designed to the specifications of Joseph Pilates. •Sessions are 50 minutes by appointment with a 24-hour cancellation policy. For a schedule of classes, and appointment for private training, a reservation in Tower class, please email us. Prices last updated September, 2006. The Pilates Method of Body conditioning is a series of exercises developed over seventy years ago by legendary physical trainer Joseph H. Pilates. His unique practiced movements are designed to stretch and tone your muscles while eliminating tension and strain from our joints. Pamela has been trained and certified in the Authentic Pilates Method through the Pilates Guild of New York and with Romana’s Pilates LLC. 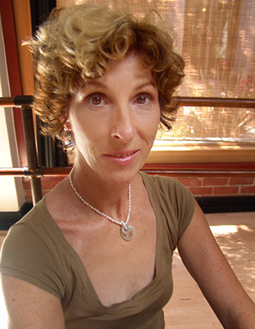 She has been teaching for several years at Pilates Guild sanctioned studios in Beverly Hills, Sherman Oaks and Pasadena. She has received training and certification in the Gyrotonic Expansion System® through Master Trainer Lisa Marie Goodwin in Marina del Rey. Pamela has had a professional career on Broadway and in resident classical and modern dance companies in New York. She graduated from the original High School of Performing Arts and trained in dance on scholarships to the Joffrey Ballet School and Alvin Ailey Dance Center. She teaches the Modern dance and Ballet classes at the Studio. Pilates Staff Teacher, Nicole Field, is certified through Power Pilates and the Authentic Method. Additonal Staff listings are available upon request.